Element Energy, along with partners Jacobs and Cardiff University, are completing analysis on the potential use of full hydrogen for heat in industry, as part of the Hy4Heat Programme. 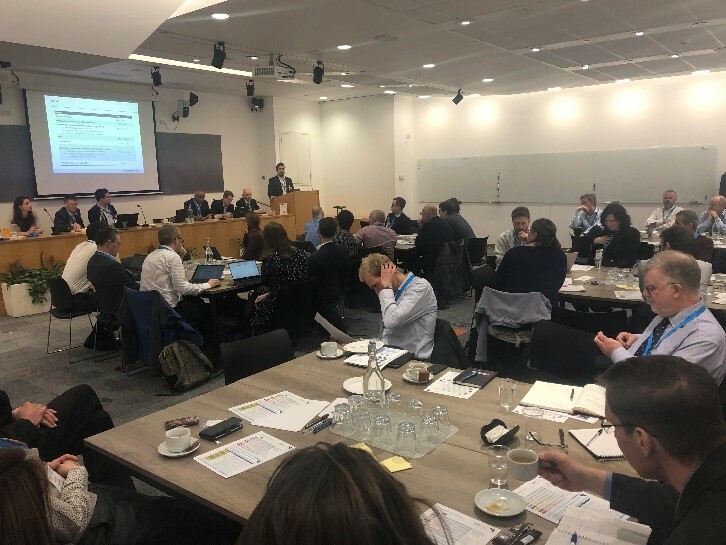 On 10th April, Element Energy led an industry workshop at BEIS to share findings on potential conversion of industrial heating equipment to ~100% hydrogen. The workshop was attended by over 40 participants from industrial sites, equipment manufacturers (OEMs), gas networks, BEIS and Hy4Heat. The aim of the workshop was to share and test the key findings of the study so far, as well as get input from industry on the challenges and enablers around industrial hydrogen conversion. Many valuable discussions were captured, with considerations around the technical, economic and strategic challenges, as well as the support and collaboration required from government, OEMs and industry for demonstration and potential roll-out. The study is now nearing completion, with the results expected to be published in the summer. For more information on Element Energy’s study please contact Emrah Durusut (emrah.durusut@element-energy.co.uk). This entry was posted in CCUS & Industrial Decarbonisation, Hydrogen and Fuel Cells. Bookmark the permalink.